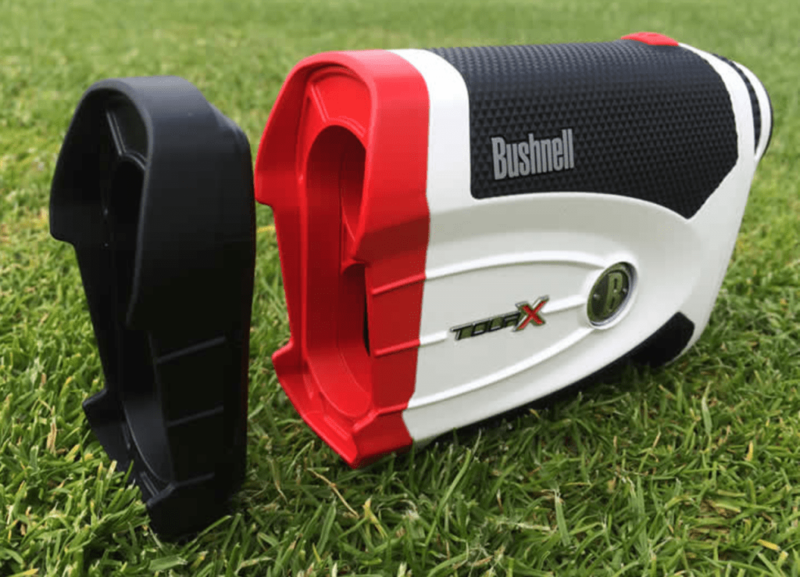 Bushnell has been the leader in laser rangefinders for many years, and the Bushnell Tour X Jolt Golf Laser GPS/Rangefinder will do nothing to hurt their standing. The addition of interchangeable faceplates for enabling or disabling elevation measurements makes compliance with the rules of golf easier than ever. 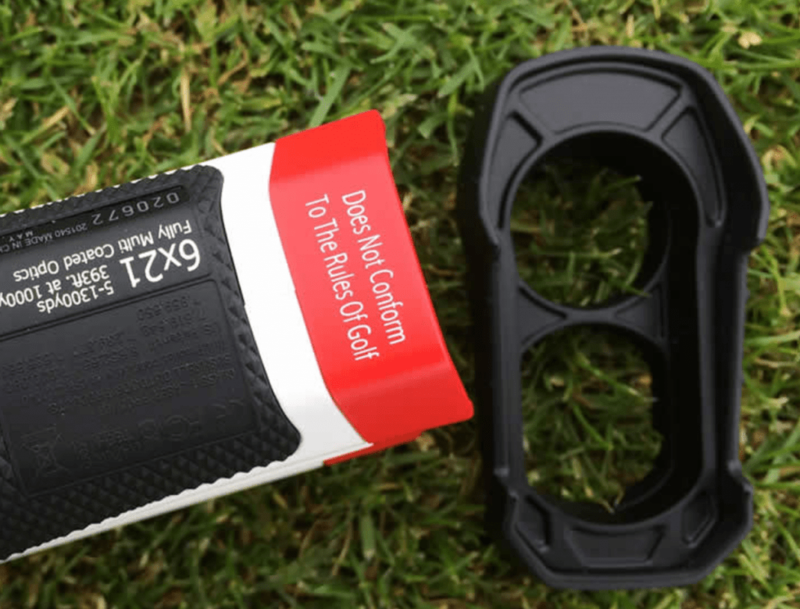 The Tour X Jolt black faceplate measures distance only- making it legal for competition. Shooting your yardage with the red faceplate will alternately show actual yardage along with the degree of elevation change and your adjusted yardage. Elevation changes will become second-natured when you play a course repeatedly, allowing you to rely less on the red faceplate and make proper club selection easier. You can generally rely on 1 or more yards for every single degree of elevation change. You’ll be surprised on how not flat most shots play. 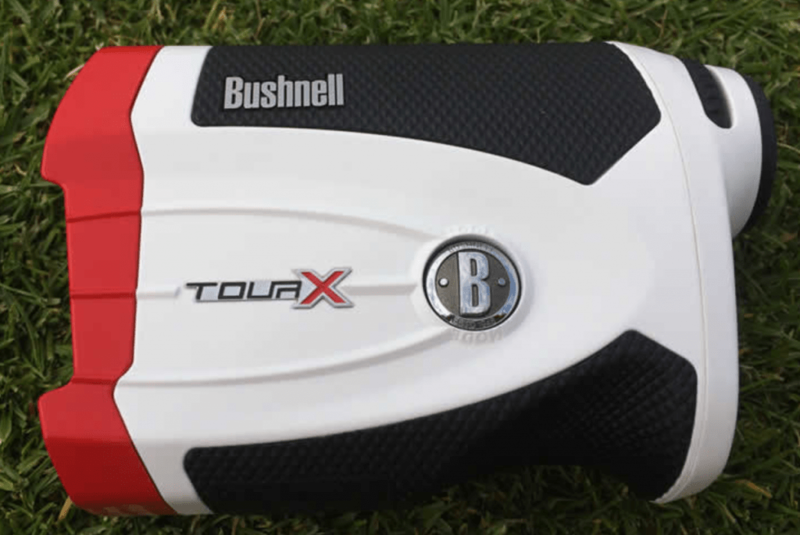 Bushnell also takes special care to remind you the red faceplate on the Tour X isn’t competition legal by writing it right on there. 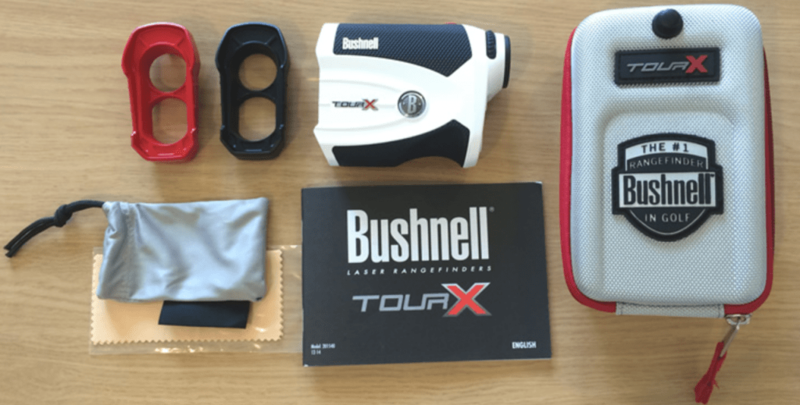 The Bushnell Tour X fits well in an adult male’s hand is comfortable to hold and hold onto because of the contoured rubber grip on the top and bottom, which also protects it from minor drops and accidents. It has a very nice heft to it and a solid feel- the buttons and dials feel good and there’s nice “clicks” when attaching and removing pieces. Ease of use is what you’d expect. 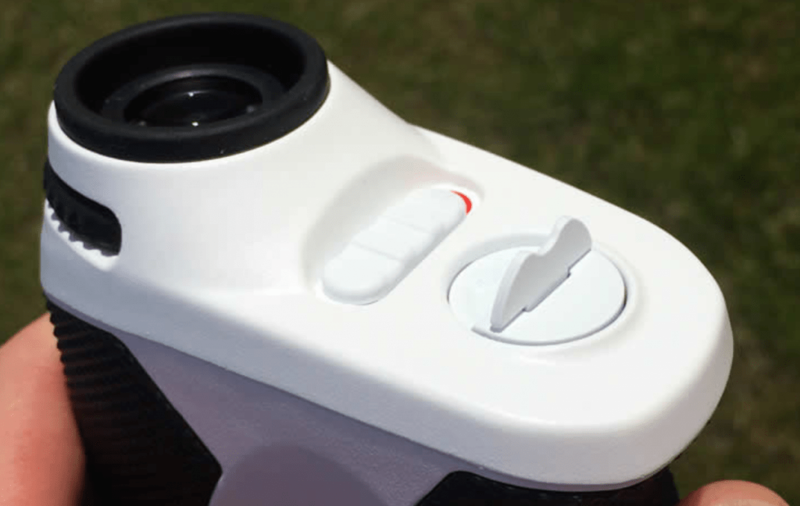 Select your target- press the button once to activate it – press and hold to get your yardage. It’s all very intuitive. 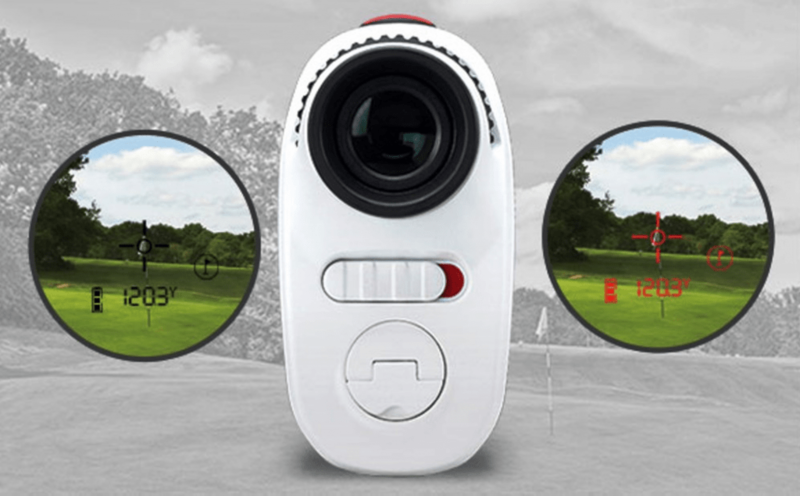 The Tour X will allow you to change from black to red markings depending on light conditions using the Vivid Display switch on the back of the device below the viewfinder. There are 4 settings alone for the red markings. 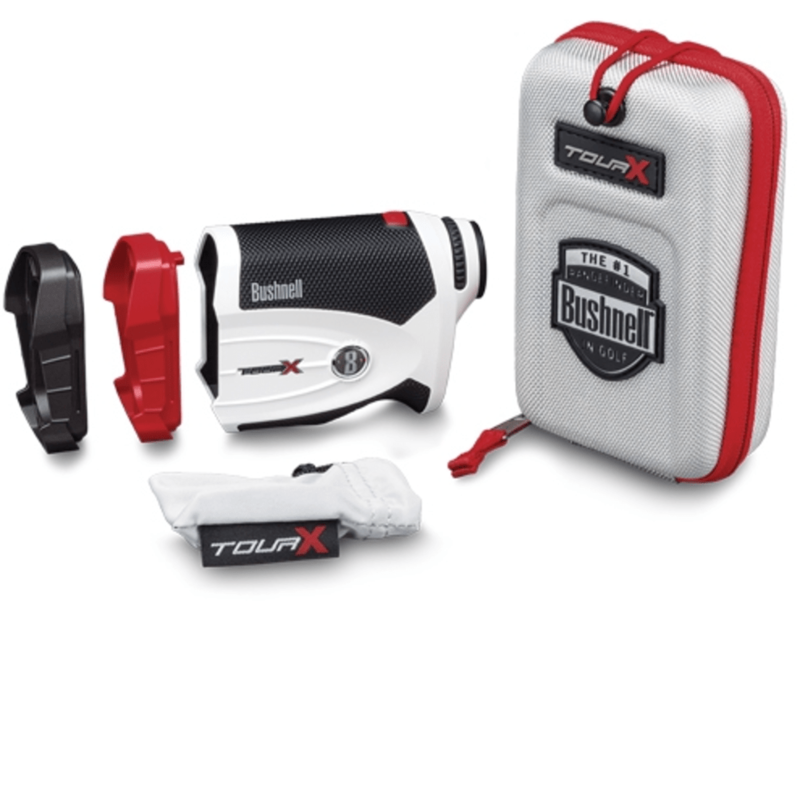 The Bushnell Tour X Jolt technology vibrates the device once you are locked onto your target flags. This is important so that you are not getting yardages to distant trees, or poles or other objects you aren’t intentionally aiming at. The Jolt display is clear the magnification goes up to 6X- making it easy to find and measure your target. Larger targets are naturally easier to find and measure, and Bushnell claims you can measure a flag up to 450 yards away. Most laser finders max out at around 250 yards.You will have to have a very steady hand to lock onto the flag from that max distance. Better to brace yourself whenever possible. 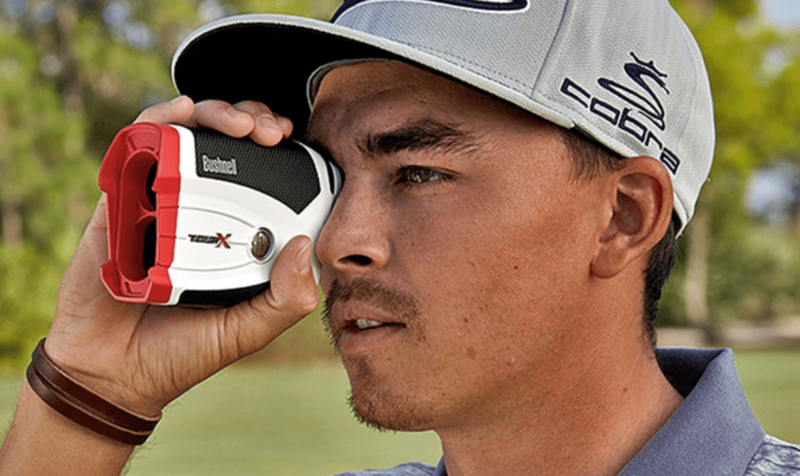 The technology Bushnell uses to measure such extreme yardages is called E.S.P.2 [Extreme. Speed. Precision] It not only nearly doubles the range of most rangefinders, it picks up the measurements in record time. The 2nd version of E.S.P. is 5 times faster than the first version of E.S.P. and is supposedly accurate to within plus or minus 1 yard. The Mode button on the side of the Tour X Jolt has a B logo and is used to vary the “Vivid Display” setting and switching from yards to meters. The battery compartment which houses the CR2 battery is located below the Vivid Display button on the side of the Tour X. The handle flips up or out, letting you easily unscrew it to gain access to change the battery. Don’t underestimate the importance of this. Other rangefinders have been known for the battery case opening virtually on it’s own. 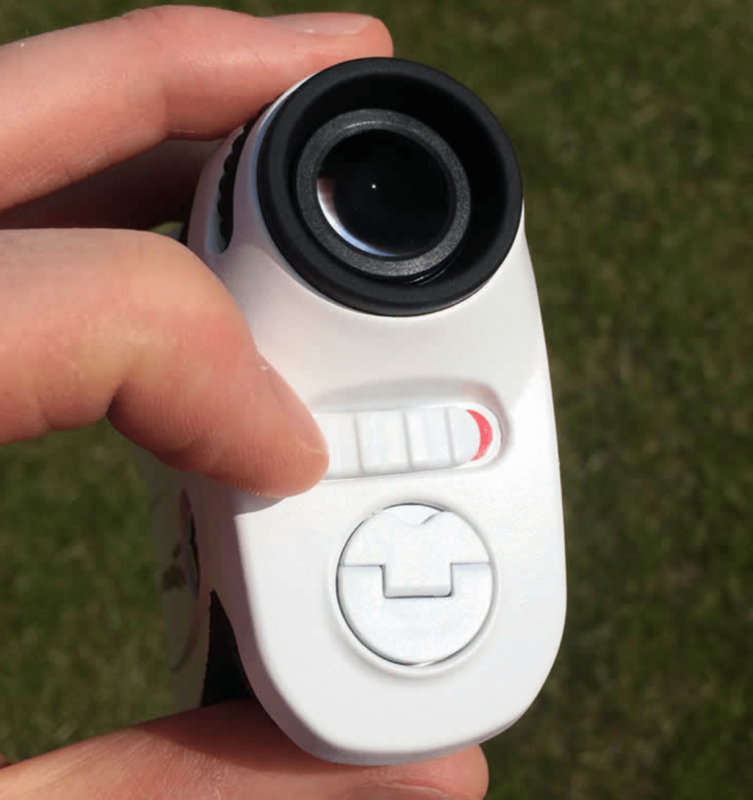 The Tour X has an adjustable wheel right above the lens, a’la a pair of binoculars, to help you focus on your target. Adjustment is very easy. The complete package includes the box with a carrying case, cleaning cloth, an instruction booklet, and the second faceplate with its own protective bag. 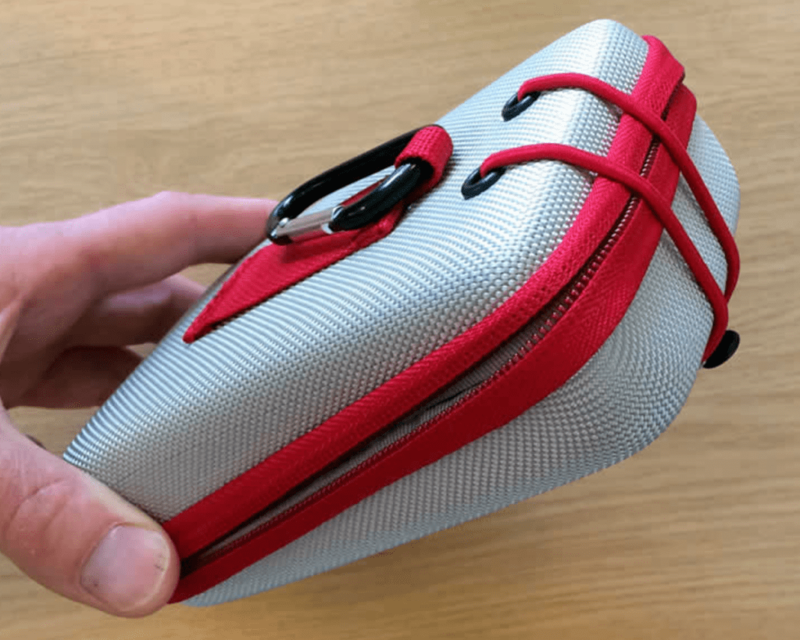 The Tour Jolt carrying case is rigid and offers excellent protection for its precious cargo. It has a d-ring and a fabric loop for easy attachment to your golf bag. I would expect no less than a case this study for such an investment. The Tour Jolt isn’t for everyone. It’s a pretty good investment and there are cheaper alternatives that do 95% of the job. 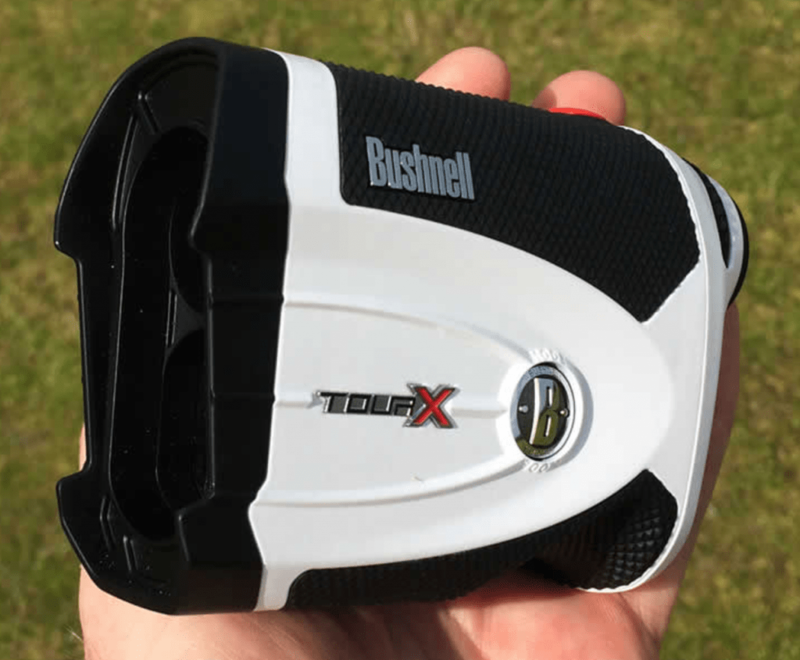 But, if you’ve got the money and you’re looking for an excellent choice, you can’t do better than the Bushnell Tour X Jolt GPS/Rangefinder.